Three events coming up at the Nashville Jazz Workshop spotlight the next generation of jazz musicians and the dedicated educators who support and inspire them. Trumpeter and educator Edwin Imer Santiago was one of Nashville’s up-and-coming jazz artists before his move to Florida last fall. Santiago was known for his work with the Latin jazz band El Movimiento and with his own quintet, releasing a CD, Hidden Journey. 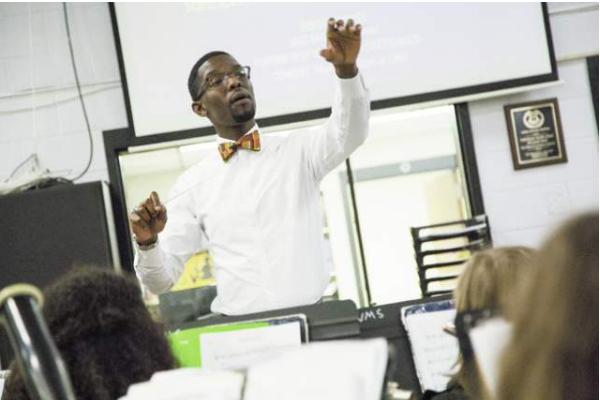 He was also the Band Director at Moses McKissack Middle School, where he excelled at motivating his young students and stimulating their interest in jazz. When his good friend, saxophonist Miguel Alvarado left a position leading Florida’s prestigious Osceola County School for the Arts (OCSA) Jazz Band, Imer was offered and accepted that position. 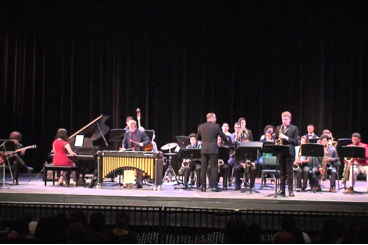 If you’re not familiar with the OCSA Jazz Band, the group has garnered national attention, as you can see in this inspiring NBC News story. This week, Imer Santiago returns to Nashville with the OCSA Jazz Band, so they can experience Music City and perform at the Workshop’s Jazz Cave. He will also perform a set with his quintet, which for this occasion will include his old friend Miguel Alvarado! This should be a great concert as well as wonderful experience for the youth involved. Details on this event here. Also this month, another dedicated Middle Tennessee educator, Cord Martin, is in the news. An award-winning educator at Columbia’s Whitthorne Middle School, Cord has also for the past several years helped to organize a festival for talented high school musicians in the area, the Ethos Music Festival. For last year’s festival he was able to bring noted saxophonist Don Braden as artist-in-residence to work with the young students, and also to perform with Cord’s quartet at the Nashville Jazz Workshop. This year Cord has secured the talents of esteemed New York-based trumpeter Valery Ponomarev for a similar appearance. 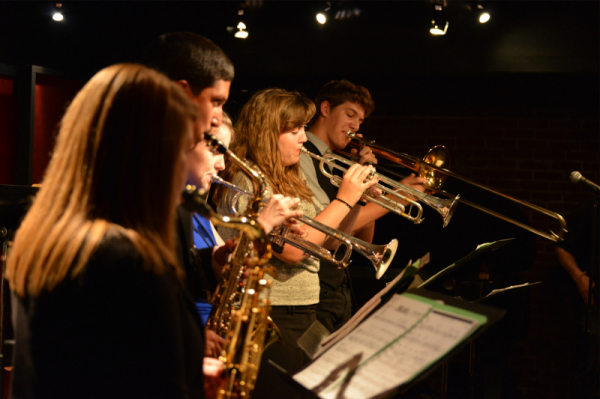 Last but not least, the Jazz Workshop is gearing up for its own Summer Jazz Camp. The camp, which started five years ago with a handful of young instrumental and vocal students, has outgrown the space available at the Workshop and this year will be held at Vanderbilt’s Blair School of Music. Camp Director Evan Cobb estimates that over 60 students from area High Schools and Middle Schools will attend, with over 20 faculty participating in some capacity! Auditions for ensemble placement and for scholarship assistance (offered through donations from individual patrons and from Van Heusen Music Corporation and the Billy Strayhorn Foundation) were held May 7, and the camp itself will take place June 20-24. For more information visit the Jazz Workshop’s website.